Although the original WD My Passport Wireless was groundbreaking for my photography, it had a number of shortcomings that are typical and expected from a new product. My primary complaint was the speed of the drive or, to be more accurate, the lack of it. First, after pressing the Power button, it takes forever for the drive to boot before it becomes fully functional. Second, the process of automatically transferring photos from an SD card to the drive is painfully slow. At the same time, I have to admit that the drive’s slow speed did not affect my photography because I am rarely pressed with time during my travels. I treated the drive’s lack of speed as an annoyance rather than a design flaw. I expected WD to address the issue in the second iteration. I was happy in 2016 when WD purchased SanDisk to address the lack of solid state memory technologies. 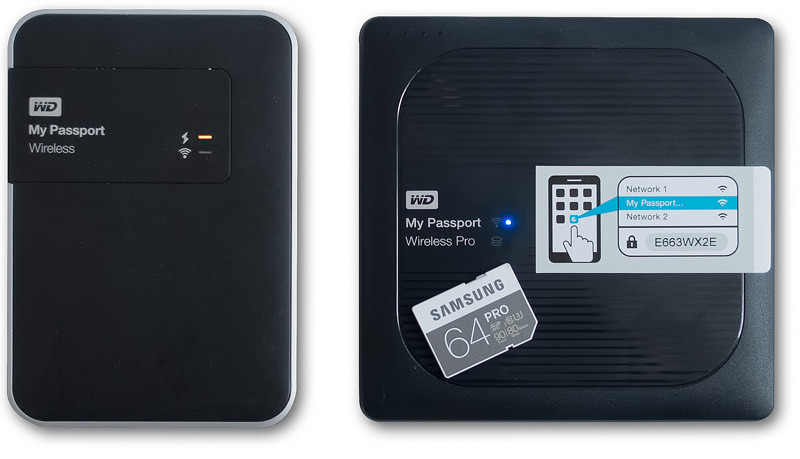 I was certain that the second iteration of the WD My Passport Wireless would have a solid state drive (SSD) replacing the spinning hard drive, which makes it more compact and more reliable with a longer battery life. I was ready to pay extra for such a drive. But, WD took a very unexpected direction with the second edition of the WD My Passport Wireless by adding PRO to the name of the drive. What does that mean? First, let me say that WD addressed most of the shortcomings of the original edition. 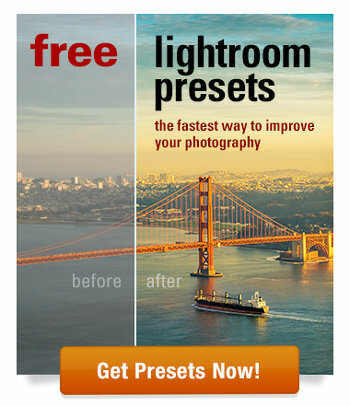 The speed drastically improved with the Pro. The startup time is much faster. After replacing a USB 2.0 SD card reader with a USB 3.0 version, the file transfer speed increased by a factor of nearly 3. It is definitely faster. After upgrading the battery capacity from 3400 mAh to 6400 mAh, the battery life doubled. Now, you can even use the drive as a battery bank to charge various mobile devices using a USB cable. At the same time, the new Pro edition comes with unexpected and puzzling features. It still has a spinning hard drive, which was not replaced with a solid state drive (SSD, nor was there an SSD option. But, what was most surprising is that WD increased the weight and size of the drive. It is now almost twice its size and heavier. This is something I did not expect—I was hoping for a size and weight reduction! After I went through the drive specifications and saw that WD added support for a Plex Media Streaming Server, I realized that the second edition of the drive was not designed with travelers and photographers in mind. 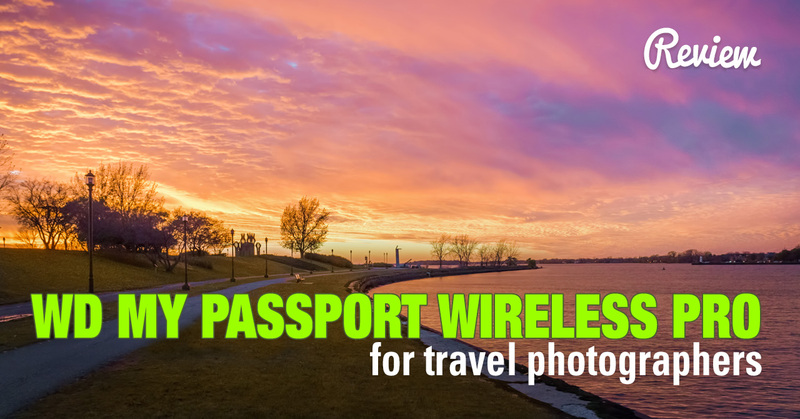 Do not get me wrong, the WD My Passport Wireless Pro is still the central piece of my travel photography and I use it on a daily basis during my travels. I recognize that, for driving trips, the size of the drive is not critical but it does increase the weight and size of my photography bag. It’s bigger size only becomes an issue for longer hiking trips. Now, I’m waiting for the third edition of the drive with the hopes it will have an SSD option. The initial setup process is streamlined. The simple sticker on the top of the drive with the Wi-Fi password made a huge difference. Ability to charge external devices using the drive as a battery bank. Fast file transfer when using the built-in USB 3.0 SD card reader. If you check WD My Passport Wireless Pro on Amazon, you can see it does not have stellar reviews. The average star rating is only 3.4. But if you dig deeper, you can see that the majority of complaints are related to conflicts with Plex Media Server and not related to the reliability of drive itself and SD card transfer. 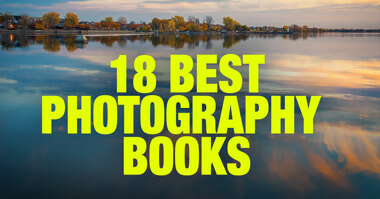 Not surprisingly, that on B&H Photo store the drive is listed as a Top Seller with the much better reviews. The new edition of WD My Passport Wireless Pro comes with the wide range of positive features and improvements. The speed, reliability and longer battery life contribute to much-improved travel photography workflow, making it more reliable and simple. But the completed change of the original design, increase in size and weight might negatively impact travel experience for some photographers. But all the negatives are only minor factors that cannot undermine the usefulness and uniqueness of the WD My Passport Wireless Pro for traveling photographers. I always enjoy your content and find that you have a very practical approach and a great way of sharing your knowledge and experience. Thank you! 1. 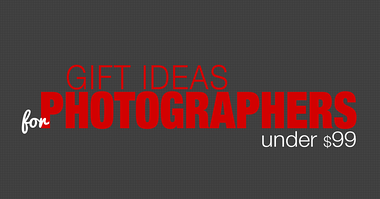 I shoot with a Canon that puts the RAW pictures into a sub-sub-directory – I was expecting the WD to extract the pictures and just put them in a dated folder instead they are buried even deeper into the directory structre making them hard to find. 2. I bought this setup so that instead of carrying a laptop when traveling I could work with an iPad Pro but the photos do not seem to be transferred into the camera roll to make them accessible to Lightroom but rather into a random directory that can not be found by Lightroom Mobile. Perhaps there are some solutions to that but my preliminary research has not found anything in the WD manual. 3. So far I have not found a mechanism of transferring edited pictures back to the WD drive and this may not exist until iOS 11 comes out or am I dreaming ;-). 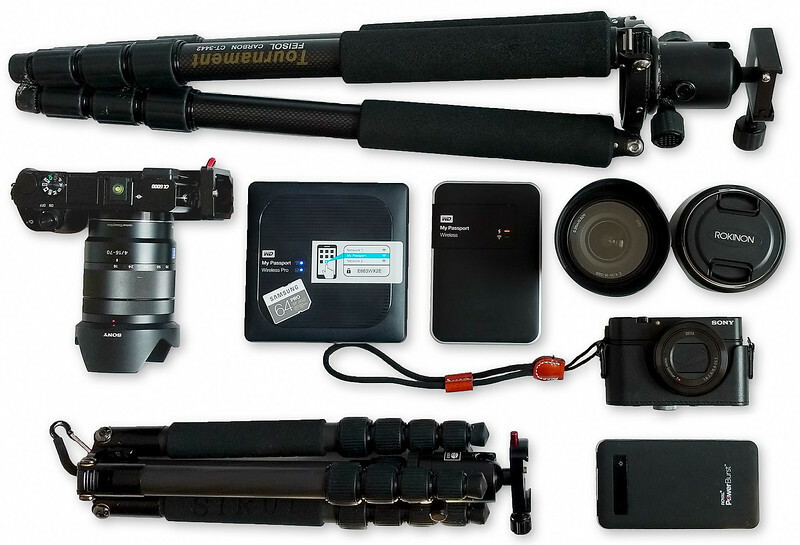 With the right software implementation this would be a really great setup for a photographer while on the road. Wondering if anyone has found a work-arounds or have i just spent $1300 for an unusable combination? The weight and size increase is due to the bigger battery, there is no other way with current battery tech. Raw is working now with new update. Painful slow usb (usb 2.0 ????) transfer from xqd card reader. you mean you can view RAW files using a tablet or a smartphone?